Mumbai Magic: How do you survey a billion people? UNIQUE ID Project finally kick started.. I am so relieved! Nandan Nilkani is the man behind this dream! The official who came to my house talked about how blessed he was doing the survey in a housing society. One of his colleagues is doing the survey in a nearby slum area. The father claimed there were 14 of them in the family the mother claimed there were 17. The official had to wait till day's end until the children confirmed that no one was left out. Turned out there were 16 - and you ask 'How Do you Survey a Billion People?' Relevant question I say. A much tamer affair here in the US -- they just send you a form (although someone did call me later to confirm my answers). Speaking of which, I recently heard a first-hand account of the IIM CAT fiasco, which apparently was a case of ETS completely underestimating the problems of scale in India. "I'm waiting now, to see what they're going to do with our names. The women wrote them down in Marathi, ruining the pronunciation and spelling. What further destruction the character recognition software will do to our names, I don't know." I was concerned about this myself, Deepa. Particularly since I had faced a similar mis-spelling the first time Voter ID cards were being issued. The census enumerator however assured me that all people would soon have to visit a neighbourhood centre to be photographed and we would then also have an opportunity to review our spellings in English. I hope he knew what he was talking about! Hi forms were designed at NID by our Information Design Faculty Rupesh Vyas. Many usability issues were considered including extracting data from the form. It is good to see this in action. Rupesh and myself were also involved in MNIC Smart Card design. There are opportunities for correction. During the information collection they did not ask us how the names were spelt. When I offered to write the correct name, the ladies said, no, we have to fill this form, not you. This is such a nightmare. Other information is also casually collected, birth dates etc. How can this be the basis for any official identification? Praveen, that is wonderful to know. I have worked a little bit in user interface design for applications, so I could see that they had no problems in using it and also the "flow" of information was smooth. Shobna - In actual fact it might have been that new migrants into the city (i.e. cousins / nephews / uncles etc) were all being included, therefore the discrepancy between what the father, mother and children said. It shows the life of Mumbai in all colors. 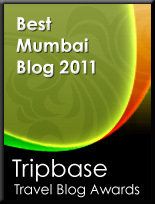 Have you seen http://www.go4mumbai.com. 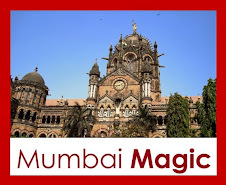 This is a utility site to help Mumbai people travel smartly. We are group of few IT experts trying to help co-travelers in Mumbai. Will you be interested in exchanging the links? which means we'll put your link on go4mumbai and you put our. We are currently getting about 10,000 hits in a day. The enumerators who walked into my home were exactly the way you described them. They got the names all wrong. It was worrying too. I tried correcting them, but each time they made a fresh mistake. It is a tough, thankless job. I am really enjoying your blog. It is like a window into another world. 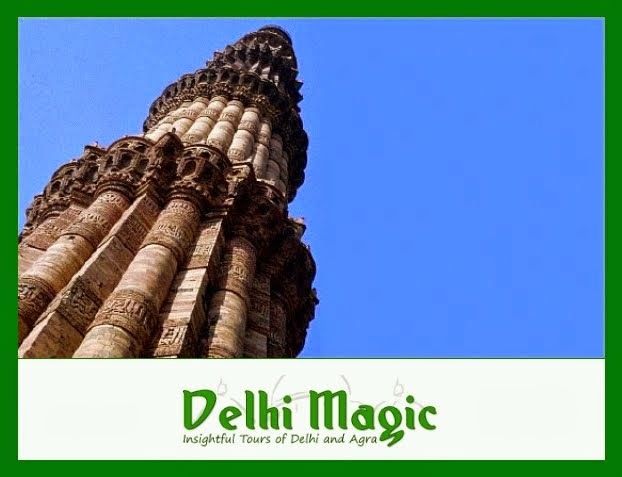 I travel in India and write about it on my blog -- but as I am from Canada, it is more of an outsider's view. Yours is an insider's view! But it helps that I have been to Mumbai (last February for about a week). Thank you for sharing. would you know whom can I get in touch with for the census, they had come many times at my place, but the flat was locked, since we both are working. Am also checking this on the net, but incase you get the info, please do let me know. But why I am commenting is to say I love the idea of a three generation blog. Will be coming back for more! Bombay seems like a distant dream on the other side of the globe. Sanitized life but not as interesting.